Week 2 is here and after really enjoying the detox juice last week, I am pretty excited to try our next recipe! If last week’s recipe had a kick to it, I am expecting this week to be really spicy. Peel the lemon and cut the lemon, apples and cucumber to fit the juicer. 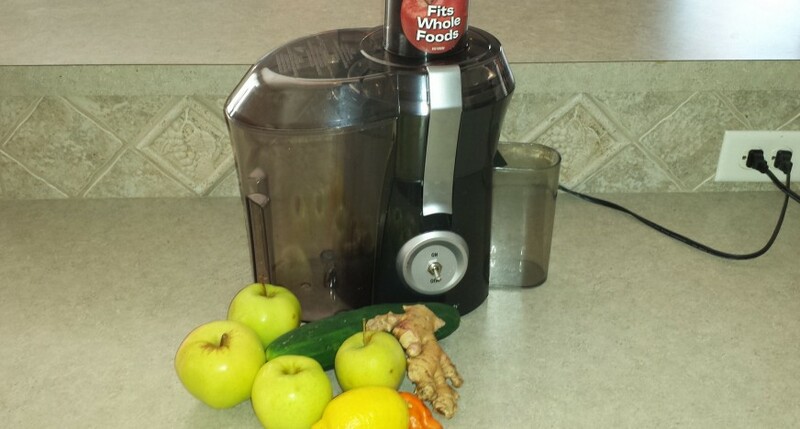 Place the lemons, apples, chile, ginger and cucumber into the feeder of the juice extractor and run the machine. Enjoy as soon as possible. -Recipe by Erin Quon and Briana Stockton. Wow! That woke me up!!! This one is Samantha’s favorite. I liked this one better as well. The heat was actually really fun to have mixed with the sweetness of the apple.